My column below from the Observer. Wall Street always overflows with Holy Grails—those predictions, strategies, secret formulas, and genius interpretations that promise otherworldly knowledge and riches if you just trust. They are most often delivered in the investment world through a black box—a closed system where the inputs and outputs are known, but the internal analytical workings are left top secret, only for the high priests’ consumption. Black box positioning goes far beyond markets, however. It is not surprising in a modern, interconnected age that when you take a very smart guy, rows of computers, proprietary formulas, and code that only the one smart guy can see, and then add a string of successful forecasts, boom—you end up with a nerdy, made-for-social-media superstar who suddenly makes prediction cool for the proletariat. He successfully called the outcomes in 49 of the 50 states in the 2008 U.S. presidential election. He successfully called the outcomes in 50 of the 50 states in the 2012 U.S. presidential election. Yet for anyone who followed the 2016 presidential race, Silver’s political predictions hit the wall. Over the course of 2016 Silver posted daily election odds that jumped around like a cat on fire—not surprising if your new guru status forces you to offer forecasts every day of an election cycle for over a year. I acknowledge that for us mere mortals, consistency is a temptress—even for the highly educated and affluent. An associate of mine, an accomplished businessman, and I had lunch a few years back. During our conversation he mentioned that he was caught up in a very well known hedge fund scam (not Madoff). I asked him, before he could explain much, if his returns were positive every month. He replied, “Every month.” Later, I Googled him and found out that he indeed had lost several million dollars. Said another way: You want to think in terms of expected value. Yet that is not a valuable or useful way to think for a one off election where both sides are literally imagining life and death. But there is no certainty, no guarantee—ever. The world is about surprise. And Silver leaves out the surprises, the unusual and unexpected. He has no way of predicting or accounting for those. On Trump’s win, Silver said as much, “It’s the most shocking political development of my lifetime.” But no one can predict outliers, so if someone like Silver pretends he can—watch out. Spyros Makridakis, in his famed 1979 paper “Accuracy of Forecasting: An Empirical Investigation,” showed that simple beats complicated and that moving averages beat tortuous econometric routines. Would moving averages also have predicted the two elections that made Silver a household name? Nonetheless, Silver defenders come back to the 49 out of 50 and 50 out of 50 in 2008 and 2012—proof, they say as they ignore 2016. But in 2008 and 2012, what percentage of those were hard calls? For example, California is blue no matter what. So there is always a huge risk in relying on strategy that gets the easy calls right and punts on the hard ones. 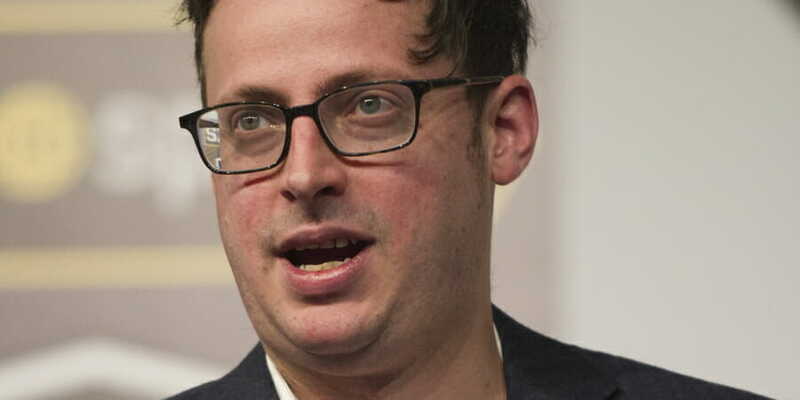 The intellectual cage match: Nassim Taleb versus Nate Silver. Pick your side carefully. It’s life or death. Michael Covel is the author of five books: including the international bestseller, Trend Following, and his investigative narrative, The Complete TurtleTrader. Michael is also the voice behind Trend Following Radio, the underground alternative hit that has been as high as #2 on iTunes with 6 million listens. Recommended Covel Podcasts and Posts: Weekly bar, Myanmar Expedition; Quant Hysterics; Irrationality podcast; Swan Problem; Michael Covel Monologue.